29. ‘intended for use by’ means that a parent or supervisor shall reasonably be able to assume by virtue of the functions, dimensions and characteristics of a toy that it is intended for use by children of the stated age group. (c) cooperate with the competent national authorities, at their request, on any action taken to eliminate the risks posed by toys covered by the mandate. (b) any economic operator to whom they have supplied a toy. (c) procedures for the performance of activities which take due account of the size of an undertaking, the sector in which it operates, its structure, the degree of complexity of the technology of the toy in question and the mass or serial nature of the production process. (d) on request, conformity assessment activities performed within the scope of their notification, and any other activity performed, including cross-border activities and subcontracting. (b) shortcomings in the harmonised standards referred to in Article 13 conferring a presumption of conformity. (b) the supporting evidence referred to in Article 42(5) is enclosed with the Community Rapid Information Exchange notification. 2. In addition to the requirement of paragraph 1, Member States shall not impede the making available on the market of toys which are in accordance with the requirements of this Directive, except those set out in Part III of Annex II ►C1 , provided that such toys meet the requirements set out in Section 3 of Part II of Annex II to Directive 88/378/EEC and ◄ were placed on the market before 20 July 2013. Directive 88/378/EEC, except Article 2(1) and Section 3 of Part II of Annex II, is repealed with effect from 20 July 2011. Article 2(1) thereof and Section 3 of Part II of Annex II thereto are repealed with effect from 20 July 2013. (e) reproductions of real fire arms. (a) Toys and their parts must not present a risk of strangulation. (b) Toys and their parts must not present a risk of asphyxiation by closing off the flow of air as a result of airway obstruction external to the mouth and nose. (c) Toys and their parts must be of such dimensions as to not present a risk of asphyxiation by closing off the flow of air as a result of internal airway obstruction by objects wedged in the mouth or pharynx or lodged over the entrance to the lower airways. (d) Toys, which are clearly intended for use by children under 36 months, and their component parts and any of their detachable parts must be of such dimensions as to prevent their being swallowed or inhaled. This also applies to other toys which are intended to be put in the mouth, and to their component parts and any of their detachable parts. (e) The packaging in which toys are contained for retail sale must not present a risk of strangulation or asphyxiation caused by airway obstruction external to the mouth and nose. (f) Toys contained within food or co-mingled with food must have their own packaging. This packaging, as it is supplied, must be of such dimensions as to prevent its being swallowed and/or inhaled. (g) Toy packaging, as referred to in points (e) and (f), which is spherical, egg-shaped or ellipsoidal, and any detachable parts of this or of cylindrical toy packaging with rounded ends, must be of such dimensions as to prevent it from causing airway obstruction by being wedged in the mouth or pharynx or lodged over the entrance to the lower airways. (h) Toys firmly attached to a food product at the moment of consumption, in such a way that the food product needs to be consumed in order to get direct access to the toy, shall be prohibited. Parts of toys otherwise directly attached to a food product shall fulfil the requirements set out in points (c) and (d). 6. Toys which it is possible to get inside and which thereby constitute an enclosed space for occupants must have a means of exit which the intended user can open easily from the inside. 8. The form and composition of projectiles and the kinetic energy they may generate when fired from a toy designed for that purpose must be such that, taking into account the nature of the toy, there is no risk of physical injury to the user or to third parties. (b) liquids and gases contained within the toy do not reach temperatures or pressures which are such that their escape from the toy, other than for reasons essential to the proper functioning of the toy, might cause burns, scalds or other physical injury. 10. Toys which are designed to emit a sound shall be designed and manufactured in such a way in terms of the maximum values for impulse noise and continuous noise that the sound from them is not able to impair children’s hearing. 11. Activity toys shall be manufactured so as to reduce the risk of crushing or trapping of body parts or trapping of clothing and of falls, impacts and drowning as far as possible. In particular, any surface of such a toy accessible for one or more children to play on shall be designed to bear their load. (d) irrespective of the toy’s chemical composition, they are designed so as to mechanically delay the combustion process. 2. Toys which, for reasons essential to their functioning, contain substances or mixtures that meet the classification criteria laid down in Section 1 of Appendix B, in particular materials and equipment for chemistry experiments, model assembly, plastic or ceramic moulding, enamelling, photography or similar activities, must not contain, as such, substances or mixtures which may become flammable due to the loss of non-flammable volatile components. 3. Toys other than toy percussion caps must not be explosive or contain elements or substances likely to explode when used as specified in the first subparagraph of Article 10(2). (c) which contain volatile components which are flammable in air and liable to form a flammable or explosive vapour/air mixture. 1. Toys shall be designed and manufactured in such a way that there are no risks of adverse effects on human health due to exposure to the chemical substances or mixtures of which the toys are composed or which they contain when the toys are used as specified in the first subparagraph of Article 10(2). 2. Toys that are themselves substances or mixtures must comply also with Council Directive 67/548/EEC of 27 June 1967 on the approximation of laws, regulations and administrative provisions relating to the classification, packaging and labelling of dangerous substances ( 1 ), Directive 1999/45/EC of the European Parliament and of the Council of 31 May 1999 concerning the approximation of the laws, regulations and administrative provisions of the Member States relating to the classification, packaging and labelling of dangerous preparations ( 2 ) and Regulation (EC) No 1272/2008 of the European Parliament and of the Council of 16 December 2008 on classification, labelling and packaging of substances and mixtures ( 3 ), as applicable, relating to the classification, packaging and labelling of certain substances and mixtures. 3. Without prejudice to the restrictions referred to in the second paragraph of point 1, substances that are classified as carcinogenic, mutagenic or toxic for reproduction (CMR) of category 1A, 1B or 2 under Regulation (EC) No 1272/2008 shall not be used in toys, in components of toys or in micro-structurally distinct parts of toys. (c) a decision in accordance with Article 46(3) has been taken to permit the substance or mixture and its use, and the substance or mixture and its permitted uses have been listed in Appendix A. (iii) the substance or mixture is not prohibited for use in consumer articles under Regulation (EC) No 1907/2006. (ii) the substance or mixture is not prohibited for use in consumer articles under Regulation (EC) No 1907/2006. 6. Points 3, 4 and 5 shall not apply to nickel in stainless steel. 7. Points 3, 4 and 5 shall not apply to materials that comply with the specific limit values set out in Appendix C, or, until such provisions have been laid down, but not later than 20 July 2017, to materials covered by and complying with the provisions for food contact materials set out in Regulation (EC) No 1935/2004 and the related specific measures for particular materials. 8. 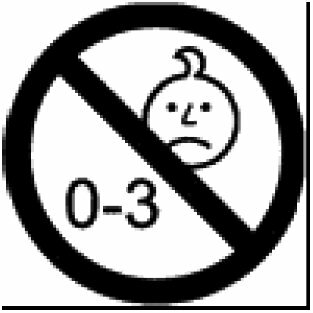 Without prejudice to the application of points 3 and 4, nitrosamines and nitrosable substances shall be prohibited for use in toys intended for use by children under 36 months or in other toys intended to be placed in the mouth if the migration of the substances is equal to or higher than 0,05 mg/kg for nitrosamines and 1 mg/kg for nitrosable substances. 9. The Commission shall systematically and regularly evaluate the occurrence of hazardous substances of materials in toys. These evaluations shall take into account reports of market surveillance bodies and concerns expressed by Member States and stakeholders. 10. Cosmetic toys, such as play cosmetics for dolls, shall comply with the compositional and labelling requirements laid down in Council Directive 76/768/EEC of 27 July 1976 on the approximation of the laws of the Member States relating to cosmetic products ( 4 ). (iii) if applicable, those fragrances comply with the relevant legislation on food. 1. Toys shall not be powered by electricity of a nominal voltage exceeding 24 volts direct current (DC) or the equivalent alternating current (AC) voltage, and their accessible parts shall not exceed 24 volts DC or the equivalent AC voltage. 6. Electric toys must be designed and manufactured in such a way that electric, magnetic and electromagnetic fields and other radiations generated by the equipment are limited to the extent necessary for the operation of the toy, and must operate at a safe level in compliance with the generally acknowledged state of the art, taking account of specific Community measures. 2. A toy intended for use by children under 36 months must be designed and manufactured in such a way that it can be cleaned. A textile toy shall, to this end, be washable, except if it contains a mechanism that may be damaged if soak washed. The toy shall fulfil the safety requirements also after having been cleaned in accordance with this point and the manufacturer’s instructions. In toys and toy components made of stainless steel. In toy components which are intended to conduct an electric current. 4. Object of the declaration (identification of toy allowing traceability). It shall include a colour image of sufficient clarity to enable the identification of the toy. (h) a copy of the EC-type examination certificate, a description of the means whereby the manufacturer ensured conformity of the production with the product type as described in the EC-type examination certificate, and copies of the documents that the manufacturer submitted to the notified body, if the manufacturer submitted the toy to EC-type examination and followed the conformity to type procedure referred to in Article 19(3). ‘Not suitable for children under ( *1 ) years. For use under adult supervision’. ( 1 ) OJ 196, 16.8.1967, p. 1. ( 2 ) OJ L 200, 30.7.1999, p. 1. ( 3 ) OJ L 353, 31.12.2008, p. 1. ( 4 ) OJ L 262, 27.9.1976, p. 169. ( *1 ) Age to be specified by the manufacturer.